He got the sack on Monday, May 15, without any query or official reason stated in the sack letter. 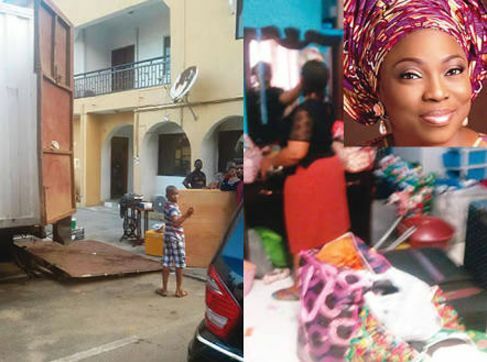 Investigations by Punch showed that Pastor Taiwo 'angered' the Governor’s wife, Bolanle Ambode, who had visited the chapel on Sunday, May 14, when the church held an anointing service. The directive to sack the Pastor because of the governor's wife waited on queue during anointing service was issued in a letter dated May 15, 2017, and signed by the Chairman, Governing Council of CCTL, Mr. Olugbenga Solomon. The letter also ordered the Assistant Chaplain, Very Rev. Ayo Oyadotun, to take over with immediate effect. A church member, who witnessed the drama and begged not to be identified, said , “The church had declared seven-day fasting after we lost two prominent members. Another member of the church said, “As she stepped out, it was obvious that she was angry. The president of the women’s fellowship and the pastor’s wife ran after her. She shunned them, entered her car and zoomed off. 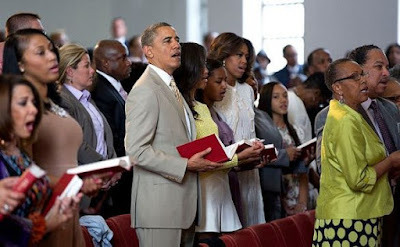 President Obama, his wife and children attended church service as US first family without any special treatment. They usually sit in available seats, no front seat or special treatment.